Cannabis is Europe’s most commonly used illicit drug, with around 20 million adults (15–64 years) having used it in the last year; around 3 million on a daily, or almost daily, basis. This analysis explores the characteristics of frequent and high-risk cannabis users and reflects on how examination of this group can help design tailored interventions for those most at risk. Cannabis is Europe’s most commonly used illicit drug, with approximately 20 million adults, or around 6% of the population aged 15–64 years, having used the drug in the last year. An indication of the public health impact of the drug can be seen in the numbers entering specialised treatment in Europe for drug-related problems, among whom cannabis is the second most frequently reported drug, after heroin. Against this backdrop, identifying the characteristics of frequent and high-risk cannabis users can help with the identification and design of interventions for those cannabis users most at risk of experiencing problems. This analysis uses two main data sources to explore frequent and high-risk cannabis use in Europe. First, general population surveys provide data on frequency of cannabis use. Secondly, data collected by specialised drug treatment centres on clients entering treatment for problems primarily related to cannabis use give insight into the personal and social characteristics of this group of users, a high proportion of which may be engaging in high-risk patterns of cannabis use. Additional information is derived from the literature. Any description of intensive forms of cannabis use is complicated by a lack of consensus on the terminology. For monitoring purposes, the EMCDDA uses ‘daily or near-daily use’ (use on 20 days or more in a month), which is also referred to as ‘frequent cannabis use’. High-risk cannabis use is defined as ‘cannabis use disorder’, as described in the current international diagnostic manuals (i.e. ICD and DSM). This includes, in particular, cannabis dependence. The most recent EMCDDA estimate suggests that there are just below 1% of daily or almost daily cannabis users among citizens of EU, Norway and Turkey aged 15–64 (EMCDDA, 2015). Additional information can be found in youth surveys which monitor the prevalence of more intensive cannabis use (40 or more times in life) in 15- to 16-year-old school students. Prevalence of intensive use in this group ranges from 0.3% to 8%, depending on the country. Data on users entering drug treatment for cannabis-related problems can also shed some light on high-risk cannabis use in Europe. Among clients who entered drug treatment for the first time in their life in 2011, cannabis use is the most frequently cited reason – and has been since 2008. The number of first-time cannabis clients has risen markedly, mainly since 2008. Currently, cannabis clients represent around half or more of all clients entering drug treatment in five countries (France, Denmark, Cyprus, Hungary and the Netherlands). Country differences in levels of treatment demand need to be interpreted with caution, however, and may reflect differences in treatment provision, referral practices, legislation, in addition to the prevalence of intensive cannabis use. For example, referrals from the criminal justice system may blur the picture by introducing into the treatment system cannabis users with less frequent patterns of use. Males are generally over-represented among cannabis users, and their share in the cannabis-using population has what is known as a ‘dose-dependent relationship’ with frequency of use and related problems. This means that the proportion of males increases with frequency of cannabis use, and is highest among those with problems related to cannabis (here represented by users entering treatment). So, while approximately 70% of last year cannabis users are male, the proportion of males rises to 75% among last month users, 78% among daily users in the last month and 84% among treatment entrants reporting cannabis as their primary drug (see Table 1). Over-representation of males among users is typical for illicit drugs; however, cannabis clients present one of the highest ratios of males to females among drug clients entering treatment. Although there is some variation between countries, nearly all report that three-quarters or more of cannabis treatment entrants are male. The literature highlights a number of important issues for women with daily or dependent cannabis use: for example, these women are significantly more likely to have a cannabis-using partner, but less likely to have a heavy cannabis-using social network. With similar patterns of cannabis use, they have greater concern about their cannabis use and perceived difficulty of quitting (Copeland et al., 2001; Swift et al., 2000). Males with similar patterns of use, in contrast, tend to have higher levels of alcohol and tobacco use, more criminal convictions and higher levels of psychosocial distress (Copeland et al., 2001). Frequent and high-risk cannabis users tend to be young people (below 35 years of age). Of the estimated 3 million European daily cannabis users, roughly 70% are aged between 15 and 34, and over 86% of clients entering treatment in Europe with cannabis as their primary drug are aged 34 or less. The estimated mean age of clients entering treatment for cannabis use is 25 years, which is one of the lowest mean ages among the different groups of drug clients. Populations of older cannabis users do exist. Studies available on users who have been using the drug for 10 or more years (on average 19) suggest that they may have established a routine of cannabis use that is less intensive than that of younger frequent users. Various reasons are suggested to explain why older users may feel less inclined to discontinue their cannabis smoking: for example, they may perceive more benefits than risks from their use or experience less social pressure to stop (Korf et al., 2007; Reilly et al., 1998). As a consequence, this group may be less likely to contact services, even though problems such as cannabis dependence are not uncommon among these users (Swift et al., 2000). The majority of frequent cannabis users will have started to use the drug while they were in their teens. The age at first use is negatively associated with the level of harm potentially experienced by the user. 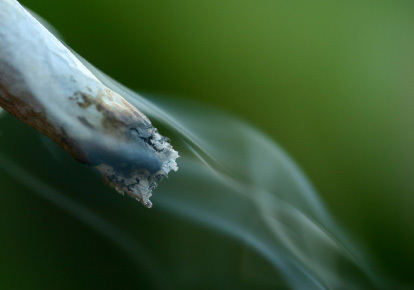 Early initiation and regular cannabis use during adolescence have been found to be associated with numerous negative outcomes, including problematic patterns of cannabis use, use of other illicit drugs, mental health problems and low educational achievement (Copeland and Swift, 2009; Fischer et al., 2011). It is important not to infer that early cannabis use causes all the above-mentioned harms, as there are numerous common and overlapping risk factors and life experiences that may explain this association. Data on the socio-economic status of frequent cannabis users are scarce and sometimes contradictory. A recent Dutch study (van der Pol et al., 2013) found frequent cannabis users to have, on average, a higher level of educational attainment than the general population; however, they were more often unemployed or unable to work. In two Australian studies (Copeland et al., 2001; Reilly et al., 1998), community samples of heavy or long-term cannabis users had levels of educational attainment and employment similar to or higher than those of the general population. A 2012 analysis of EU treatment demand data found that 87% (ranging from 50% to 98% between countries) of the cannabis users entering treatment were living in stable accommodation. 60% have completed at least secondary education again with variation by country, while almost half (47%) were in full-time education or employment. Unemployment among primary cannabis users entering treatment stood at 38.5% and ranged from 12% in Lithuania to 53% in Ireland and 65% in Turkey. A study among French adolescents supports the view that higher socio-economic status has a protective effect against daily cannabis use (Legleye et al., 2011). Findings suggest that although young people from families with higher socio-economic status had higher risk of experimental use of cannabis, they were also less likely to engage in daily use of the drug. This exploration of the evidence on the characteristics of frequent cannabis users supports the findings of studies which identify young males as a population group that is over-represented among frequent cannabis users. Among frequent and daily users of cannabis, dependence is a concern and may help to explain some of the variation that exists in patterns of use, mental health and cannabis-related problems (see panel 4). With regard to the design of appropriate interventions for users most at risk of experiencing problems, evidence presented here suggests that these should be suited to predominantly young male populations with high levels of cannabis-related problems, poly-drug use patterns and likely mental health problems. Treatment options should take into account the significant minority of women among those with cannabis problems, as they may have different needs. Looking towards the future, treatment services may see growing numbers of older cannabis users, if a sizeable proportion of the current relatively large population of frequent cannabis users continue to use the drug intensively as they age. Copeland, J. and Swift, W. (2009), ‘Cannabis use disorder: Epidemiology and management’, International Review of Psychiatry 21, pp. 96–103. Copeland, J., Swift, W. and Rees, V. (2001), ‘Clinical profile of participants in a brief intervention program for cannabis use disorder’, Journal of Substance Abuse Treatment 20, pp. 45–52. EMCDDA, European Monitoring Centre for Drugs and Drug Addiction (2015), 2015 European Drug Report: Trends and Developments. (available online). European Monitoring Centre for Drugs and Drug Addiction (2013), Statistical bulletin (available online). Fischer, B., Jeffries, V., Hall, W., Room, R., Goldner, E. and Rehm, J. (2011), ‘Lower risk cannabis use guidelines for Canada (LRCUG): a narrative review of evidence and recommendations’, Revue Canadienne de Santé Publique 102, pp. 324–27. Korf, D. J., Benschol, A. and Wouters, M. (2007), ‘Differential responses to cannabis potency: A typology of users based on self-reported consumption behaviour’, International Journal of Drug Policy 18, pp. 168–76. Legleye, S., Janssen, E., Beck, F., Chau, N. and Khlat, M. (2011), ‘Social gradient in initiation and transition to daily use of tobacco and cannabis during adolescence: a retrospective cohort study’, Addiction 106, pp. 1520–31. Looby, A., and Earleywine, M. (2007), ‘Negative consequences associated with dependence in daily cannabis users’, Substance Abuse Treatment, Prevention, and Policy 2, p. 3 (available online). NIDA (2012), NIDA InfoFacts: marijuana, National Institute on Drug Abuse, US Department of Health and Human Services, Washington, DC (available online). Reilly, D., Didicott, P., Swift, W. and Hall, W. (1998), ‘Long-term cannabis use: characteristics of users in an Australian rural area’, Addiction 93, pp. 837–46. Swift, W., Hall, W. and Copeland, J. (2000), ‘One year follow-up of cannabis dependence among long-term users in Sydney, Australia’, Drug and Alcohol Dependence 59, pp. 309–18. Percentage of respondents aged 15-34 in large, probabilistic general population surveys reporting using cannabis at least once in the 12 months preceding survey. For more information, see Table GPS-2 part (ii) in the 2013 Statistical bulletin. Percentage of 15-16 year-old respondents in an European School Survey Project on Alcohol and Other drugs (ESPAD) 2011 survey, who reported using cannabis 40 or more times in their lifetime. For more information, see Table EYE-23 part (i) in the 2013 Statistical bulletin. Percetage of 15-16 year-old respondents in a Health Behaviour in School-aged Children (HBSC) survey, who reported using cannabis 3–39 times within the past 12 months. For more information, see Table EYE-9 part (i) in the 2013 Statistical bulletin. Percentage of 15-16 year-old respondents in a Health Behaviour in School-aged Children (HBSC) survey, who reported using cannabis 40 times or more within the past 12 months. For more information, see Table EYE-9 part (i) in the 2013 Statistical bulletin. Percentage of respondents aged 15-64 in large, probabilistic general population surveys reporting using cannabis on 20 days or more in the 30 days preceding survey. For more information, see the EMCDDA thematic paper 'Prevalence of daily cannabis use in the European Union and Norway'. Percentage of respondents aged 15-34 in large, probabilistic general population surveys reporting using cannabis on 20 days or more in the 30 days preceding survey. For more information, see the EMCDDA thematic paper 'Prevalence of daily cannabis use in the European Union and Norway'. Percentage of clients of drug treatment facilities monitored in the framework of treatment demand key indicator, who report cannabis as their primary reason for requesting treatment. Pass cursor over a country to see the absolute number. For more information, see Table TDI-5 part (ii). Breakdown of 15-64 years old respondents reporting using cannabis on 20 days or more in the 30 days preceding survey by gender. For more information, see the EMCDDA thematic paper 'Prevalence of daily cannabis use in the European Union and Norway'. Breakdown by age (15-34/35-64) of 15-64 years old respondents reporting using cannabis on 20 days or more in the 30 days preceding survey by gender. For more information, see the EMCDDA thematic paper 'Prevalence of daily cannabis use in the European Union and Norway'. Percentage of respondents aged 15-64 in large, probabilistic general population surveys reporting using cannabis at least once in the 12 months preceding survey. For more information, see Table GPS-2 part (i) in the 2013 Statistical bulletin. 20 million have used the drug in the last year. 11 million have used cannabis in the last month. 3 million have used the drug daily or almost daily in the last month. More than three-quarters of all reported drug law offences in the European Union are related to cannabis, and this figure has been increasing since 2006. In about two-thirds of the EU Member States, the cannabis market is dominated by herbal cannabis; cannabis resin dominates in the other Member States. The typical (modal) potency and price of cannabis ‘products’ varies widely among EU Member States, with potency (%THC) ranging from approximately 1% to 15%, and price from EUR 5 to EUR 15 per gram. Cannabis use can cause adverse health effects, both acute and chronic. Of the acute effects, an increased risk of being involved in motor vehicle accidents is one of the most serious consequences. Chronic effects include dependence, respiratory diseases and psychotic symptoms. Risks to health generally increase with early onset and increasing frequency of use and quantity used. Cannabis dependence is usually diagnosed in Europe according to the World Health Organization’s International Classification of Diseases, 10th revision. It can be described as 'a cluster of behavioural, cognitive, and physiological phenomena that develop after repeated substance use and that typically include a strong desire to take the drug, difficulties in controlling its use, persisting in its use despite harmful consequences, a higher priority given to drug use than to other activities and obligations, increased tolerance, and sometimes a physical withdrawal state'. 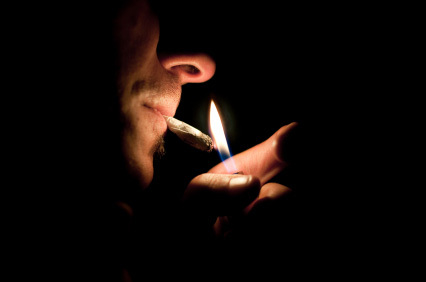 A small number of studies have looked into the concept of cannabis dependence, comparing frequent (1) or daily cannabis users with and without dependence (Looby and Earleywine, 2007; van der Pol et al., 2013), or populations with self-perceived treatment need to populations without this perception (Copeland et al., 2001). Depending on the population studied, somewhere between 25% and 50% of daily cannabis users will fulfil the criteria for dependence (NIDA, 2012). A general conclusion that can be drawn from these studies is that, while frequent to daily use of cannabis is a strong predictor of cannabis-related problems (Fischer et al., 2011), these accumulate even more in users with (probable) dependence. Although the above-mentioned studies have found relatively small differences in the frequency or intensity of use or quantity of cannabis used between dependent and non-dependent frequent or daily users, marked differences were identified between dependent and non-dependent users in the levels of cannabis-related problems experienced, use of other substances and mental health problems. Other characteristics more prevalent in dependent users included solitary use and use in order to cope with problems. In a recent study among a sample of Dutch cannabis users, frequent users (with and without dependence) had a higher prevalence of externalising disorders such as childhood and adult attention deficit-hyperactivity disorder or conduct disorder (van der Pol et al., 2013). This association was stronger in those with cannabis dependence. They had, in addition, an increased prevalence of internalising disorders, such as depression or anxiety disorder. These mental health problems are often preceded by childhood adversity, and factors such as loss of parent or child abuse were relatively common in both groups, and more common than in the general population. Childhood adversity, however, did not explain the differences in mental health between dependent and non-dependent users. The authors concluded that there must be other, personality-related, genetic or environmental vulnerability factors that play a role. It is probable that these factors are involved both in mental health problems and cannabis dependence.